Running your own business comes with great risks. Protecting your legal business rights is one of the most important duties you have as an owner. James Ruterbories P.C., corporate lawyer, provides business law services in Centennial, CO to assist your company to properly protect itself from the numerous pitfalls company’s encounter. Protect the company you have worked so hard to build up over the years. Schedule a free consultation with our Denver corporate lawyer to learn more about his knowledge in the field of Business Law and Corporate litigation. Protecting your business by choosing an experienced Denver corporate lawyer capable of defending your interests is one of the most important business decisions you will make. Attorney James Ruterbories has the experience, knowledge, skill, and ability to provide helpful business law services for organizations ranging from startups to mid-sized enterprises. Mr. Ruterbories handles legal matters relating to franchising, contracts, mergers, acquisitions, dissolutions, conversions and new businesses start-ups. The firm takes the time to carefully listen to your needs and help you identify areas where legal problems may arise as well as helping you to minimize these risks. Mr. Ruterbories’ law firm is ready to assist your company with business transactional matters as well as the necessary litigation services required. Securing the proper legal assistance for your Colorado company helps minimize many of the risks and obstacles that might block the business from achieving additional success. You will be pressed to find a more able ally around the negotiation table or in the courtroom than Mr. Ruterbories. Contact our corporate law firm when you are looking for assistance for your company’s Centennial, CO business law needs. 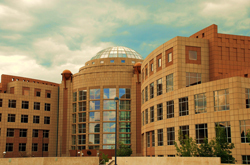 Mr. Ruterbories is proud to provide his legal assistance to businesses and corporations located throughout Colorado. © 2019 James Ruterbories P.C., All rights reserved. The information contained on this site is not intended to convey any legal advice. The information contained on this site is not a substitute for any legal advice and is only general in nature and not specific to your case. Any links on this site are not intended as referrals or endorsements and no representations are made regarding those links. The laws are typically amended and repealed frequently; therefore, James, Ruterbories, P.C., makes no representations regarding any information on this site. E-mail communications or visiting the site does not create any attorney-client relationship. For any and all information specific to your case, please call for a free consultation.